Nadine Gordimer. Gordimer, Nadine, photograph. AP Images. Throughout her career, South African writer and Nobel laureate Nadine Gordimer has detailed the corrosive effects of life in the racially segregated state. Gordimer has steered a difficult middle path between the conflicting claims of conservative white readers who resented her relentless analyses of white privilege, and those of other readers—both white and black, and often committed to social change—who regarded as trivial or indulgent her insistence that art should not become propaganda. Privileged Upbringing in Segregated South Africa. Nadine Gordimer, the daughter of Jewish immigrants, was born in Springs, a mining town forty miles outside Johannesburg, in Transvaal, South Africa, on November 20,1923. A shop-owning family, the Gordimers were part of the white, English-speaking middle class. Gordimer married Gerald Gavron in 1949; the two divorced in 1952. In 1954 Gordimer married Reinhold Cassirer, a German Jewish refugee from the Nazi regime who had a distinguished career with British Intelligence during World War II. The Apartheid Era. 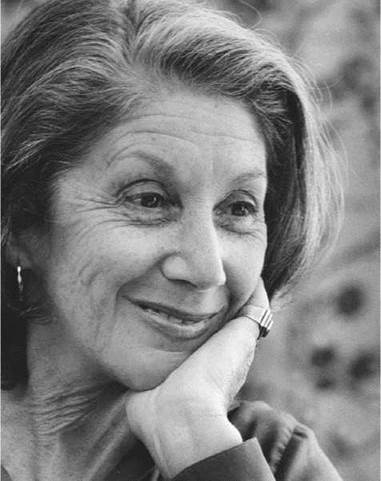 Gordimer’s early work focuses on the intrusion of external reality into the comfortable existence of South Africa’s middle-class white society. The Lying Days (1953) portrays a sheltered Afrikaner woman who gains political consciousness through her affair with a social worker. Despite autobiographical elements, this novel shows Gordimer’s gift for creating individual truths that reflect more general, public truths. A World of Strangers was published in 1958 at the height of the liberal movement in South Africa, during which time intellectuals and artists of all colors strove to resist the increasingly restrictive codes of official apartheid. The novel, banned by the South African government, relates a British writer’s attempts to unite his white intellectual companions with several black Africans whom he has recently befriended. The liberalism of the 1950s ended violently with the Sharpeville massacre in 1960, when white police shot down sixty-nine blacks protesting laws that forbade nonwhites from traveling freely in South Africa. The violence resulted in the declaration of a state of emergency and the subsequent arrest and detention without trial of many political figures. From that point, a police state was established, which silenced organized political opposition and drove into exile many black intellectuals. The Limits of White Liberalism. In her early work Gordimer depicts the ambiguity and compromises of white liberalism; in her writing published between 1960 and 1994 she analyzes its failure to produce any meaningful political changes in South Africa. The novella The Late Bourgeois World (1966), for example, reconstructs events leading to the suicide of a white political activist who had betrayed his compatriots in exchange for leniency. A Guest of Honour (1970) is also the story of white liberal disillusionment. The apartheid regime appeared to be permanently established in 1974 when The Conservationist appeared. It focuses on a wealthy white industralist’s struggle to come to terms with his guilt and sense of displacement as he grows increasingly threatened by the presence of poor black squatters on his estate. The novel marked an important departure for Gordimer: it was the first of her books to hint positively at an ultimate return of South Africa to black majority control. Burger’s Daughter, banned briefly on publication in 1979, details the efforts of Rosa Burger, the daughter of a martyred leader of the South African Communist Party, to pursue an apolitical existence. Gordimer put further pressure on the idea that white liberalism in itself was of any use in South Africa with July’s People (1981). The book centers on a liberal white family forced to depend on the providence of a black man who was previously their servant. Through this reversal of roles, the novel reveals deep-rooted feelings of prejudice and racial supremacy in even the most open-minded individuals. Gordimer felt deeply the need for South African white minority to become active in the cause of justice. She joined the African National Congress (ANC) while it was still an illegal organization because she felt it represented the best hope for the country. She even harbored ANC leaders in her home to protect them from government persecution. In 1986, Gordimer testified on behalf of nearly two dozen antiapartheid activists on trial for treason. She spoke out openly and often against apartheid, and participated in antiapartheid demonstrations within South Africa. Post-Apartheid Work. Antiapartheid activist Nelson Mandela was released from prison in 1990. Gordimer won the Nobel Prize in Literature in 1991. In 1994 the ANC won the first democratic election in the country. As apartheid ended and South African blacks were granted political power, critics scanned Gordimer’s fiction to see how her focus would change. Her novel None to Accompany Me (1994) looks at the fortunes of two families— one black, one white—as they move into the postapartheid era. She examines the problems of those negotiating the change and returning from exile or underground. Gordimer’s The House Gun (1998) is set in the new South Africa. The new regime, unquestionably in power, is nevertheless beset with the chronic problem of random violence and crime in a society casting off a recognition of civil authority together with the authoritarian trappings of the former era. Gordimer’s interest in The House Gun is not so much on the present but on the legacy of the past and how that past has produced the violent contemporary climate. Recently, Gordimer has turned her attention to another scourge in South African society: the spread of HIV/AIDS. She has been an active fund-raiser for AIDS treatment in South Africa. Gordimer continues to live and write in South Africa. Naguib Mahfouz (1911-2006): Egyptian novelist, screenwriter, and playwright who explored existentialism and modernized Arabic literature; awarded the Nobel Prize for Literature in 1988. Nelson Mandela (1918-): Former president of South Africa and 1993 recipient of the Nobel Peace Prize; under apartheid, he spent twenty-seven years as a political prisoner. Chinua Achebe (1930-): Nigerian novelist, poet, and critic who incorporates oral Igbo traditions into his work. J. M. Coetzee (1940-): South African novelist, essayist, and translator; awarded the Nobel Prize for Literature in 2003. Aung San Suu Kyi (1945-): elected prime minister of Burma (Myanmar) in 1990 but placed under house arrest by the ruling military; awarded the Nobel Peace Prize in 1991. The Tradition of South African Literature. Before Gordimer, the most famous white South African novelist of English language literature: Alan Paton, author of the 1948 best seller Cry, the Beloved Country, a moving protest novel about race relations in South Africa. Before Paton, however, white South African Olive Schreiner gained some short-term attention for her The Story of an African Farm (1883). Schreiner’s work fell into obscurity for decades until it was recovered by critics in the 1980s. Aside from Gordimer, the white South African author of greatest prominence today is J.M. Coetzee, winner of the 2003 Nobel Prize in Literature. Coetzee, author of such works as Waiting for the Barbarians (1980), The Life and Times of Michael K (1983), and Disgrace (1999) focused much of his writing on the complicated social issues facing his racially divided country. The white population of South Africa comes from both British and Dutch descent, and the descendants of the early Dutch settlers speak a language called Afrikaans. Two prominent writers of Afrikaans literature include Andre Brink (1935-) and Breyten Breytenbach (1939-) Both were active opponents to the apartheid regime; Breytenbach spent seven years in prison in South Africa for treason as a result of his activities, an experience recounted in his English-language work The True Confessions of an Albino Terrorist (1983). Writer Athol Fugard, though of Afrikaner descent, writes in English to reach a wider audience. The author of numerous plays and novels, his most famous works include Blood Knot (1962) and Master Harold ... and the Boys (1982). Black South African writers of the apartheid era faced imprisonment for open criticism of the government, which obviously dampened output by members of those generations, and many fled the country. Peter Abrahams, for example, left South Africa at the age of twenty in 1939. His novel Mine Boy (1946) brought him to critical attention. Alex La Guma stayed in South Africa for much of his adult life, writing such protest novels as 1962’s A Walk in the Night before leaving the country for good in 1966. Since the end of apartheid, South Africa has experienced a small renaissance in literature by black South Africans. Many nations throughout the world, even today, have permitted or encouraged barriers between ethnicities, religious groups, or genders. These barriers impose separation, or segregation. Here are some works that examine segregation's effects. Invisible Man (1952), a novel by Ralph Ellison. The awardwinning novel follows the struggles of a bright, promising young African American boy who struggles against the pervasive racism of post-World War II America. Biko (1978), a biography by Donald Woods. Biography of Steven Biko, the leader of the nonviolent South African Black Consciousness Movement, who died in 1977 under suspicious circumstances while in police custody. Princess (1992), a book based on a true story by Jean P. Sasson. This work details how gender segregation within conservative Muslim society affects a contemporary Saudi Arabian princess. Declared ‘‘the literary voice and conscience of her society’’ by Maxwell Geismar, Gordimer has been praised for her incisive examination of complex human tensions generated by apartheid. According to scholars like John Cooke and Stephen Clingman, Gordimer’s fiction tells of vast social change through the everyday experiences of individuals. Her fiction abounds with the most closely observed detail, and most critics agree that her insights have been as finely perceptive as her observations. The volatile racial tensions in South Africa have affected the reception of Gordimer’s literature throughout her career. Many critics have attempted to categorize Gordimer as a political writer, though she makes no attempt to promote specific political views in her fiction. A few critics maintain that downplaying the politics of her stories evades her political responsibility. Because Gordimer has chosen to write about the small moments in people’s lives, her writing receives almost a universal warm welcome today, in contrast with the 1950s and 1960s, when such ‘‘small moments’’ were sometimes criticized as both didactic and apolitical. Today, in light of the trend toward minimalism in fiction, ‘‘small moments’’ are almost universally acknowledged to be suitable topics for literature. Several short stories in Six Feet of the Country (1956) and Friday’s Footprint and Other Stories (1960) display the influence of Guy de Maupassant, Honore de Balzac, and Gustave Flaubert in their objectivity, realism, and satiric edge. Gordimer herself has cited Marcel Proust, Anton Chekhov, and Fyodor Dostoyevsky as major influences. 1. Gordimer does not ‘‘preach’’ to her readers, but rather lets them draw their own conclusions from the details she presents. Do you think this is an effective literary technique, or do you think it leaves room for misinterpretation, depending on the reader? 2. Gordimer has been criticized for refusing to write fiction with an overtly political point of view. As a white woman, she was part of the ‘‘ruling class’’ during apartheid. Would any political solution she proposed be affected by her experiences as part of the privileged white society, or, because of her status, did she have a responsibility to promote specific political solutions in her work? 3. Research the definition of the word ‘‘propaganda’’ and find three examples of well-known novels that have been labeled as propaganda. What prompts such labeling? Do you think propaganda can be art? 4. Research how Africa and South Africa are portrayed by other writers. Write a paper examining the way African countries are represented. Do the representations differ according to the writer’s gender or race? If so, how? Clingman, Stephen. The Novels of Nadine Gordimer: History from the Inside. Amherst: University of Massachusetts Press, 1992. Cooke, John. The Novels of Nadine Gordimer: Private Lives/Public Landscapes. Baton Rouge: Louisiana State University, 1985. King, Bruce, ed. The Later Fiction of Nadine Gordimer. New York: St. Martin’s Press, 1993. Newman, Judie. Nadine Gordimer. New York: Routledge, 1988. Smith, Rowland, ed. Critical Essays on Nadine Gordimer. G.K. Hall, 1990. Yousaf, Nahem, ed., Apartheid Narratives. Amsterdam: Rodopi, 2001.